Netherlands: N+P Recycling has acquired all the shares in Subcoal International as well as Subcoal Production. The move follows the initial purchase of a majority holding in these companies in 2013. N+P has since invested in the development of the Subcoal companies, including work at the Delfzijl production site. The Subcoal concept was developed in 1998 by DSM but was only fully implemented on a large scale in 2010. Since N+P’s involvement in 2013, the concept has developed globally with demand growing for Subcoal as an alternative fuel used by cement or power plants. Based on the success of the concept N+P expects a growth of the production capacity to 0.5 – 0.7Mt/yr. The first new production facility is expected in the UK by mid-2018. Netherlands: Alternative fuels specialist N+P Recycling has celebrated its 25th anniversary and the opening of its new headquarters in Nieuw-Bergen, Limburg. Company chief executive officer (CEO) Karel Jennissen presided at the event and Manon Pelzer, the mayoress of Nieuw-Bergen, was also in attendance. 200 guests attended the opening that included a guided tour of the new premises. At a ceremony marking the anniversary Karel Jennissen, with his wife Karin, presented the history of the company. Their three sons Lars, Stijn and Jens then gave guests a personal insight into their own experiences with the firm. This was followed the next day by a general tour of the facility for the local community with around 1000 members of the public. 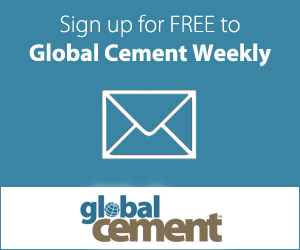 A full report will be published in the September 2017 edition of Global Cement Magazine, including a visit to the company’s 80,000t/yr Subcoal production facility in Farmsum.